THERE is lots of fun to be had these school holidays in Rockingham and the surrounding areas. In the lead up to Easter, there are plenty of egg and chocolate-themed activities to enjoy, plus lots more on offer in between the ANZAC Day public holiday. Start planning these holidays with our list of suggestions. 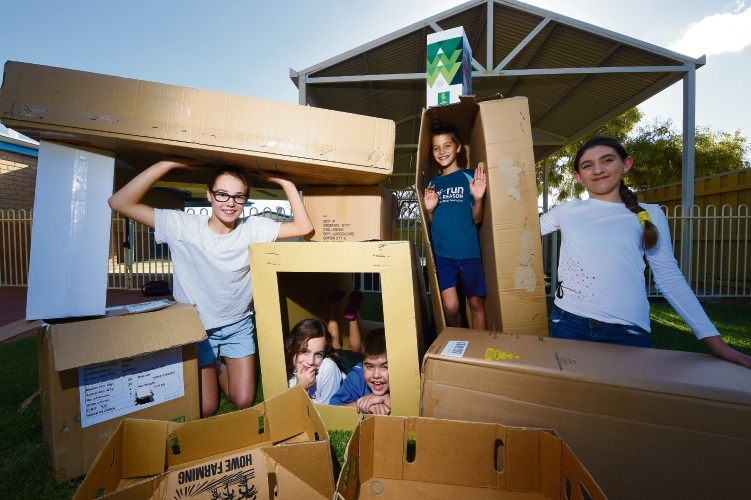 Spot the Zebra Inc. is holding a Build a Cubby House fundraising event where children can use cardboard and branches to construct kid-size cubbies. All proceeds go towards educating Rockingham Region GPs about the early signs and symptoms of Duchenne Muscular Dystrophy. Tickets cost $5 per child (under three are free) plus bring your gold coins to play games, get your face painted, enter a raffle or buy a sausage sizzle or an apple slinky. The event will be held on Saturday, April 13 from 10am – 2pm at the Warnbro Community and Family Centre. 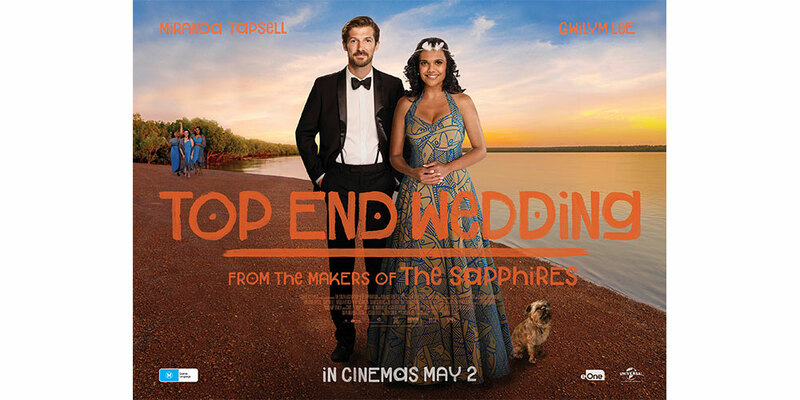 Tickets are available at trybooking.com/483798, by calling Fiona Ball on 0410 299 718 or at the door. 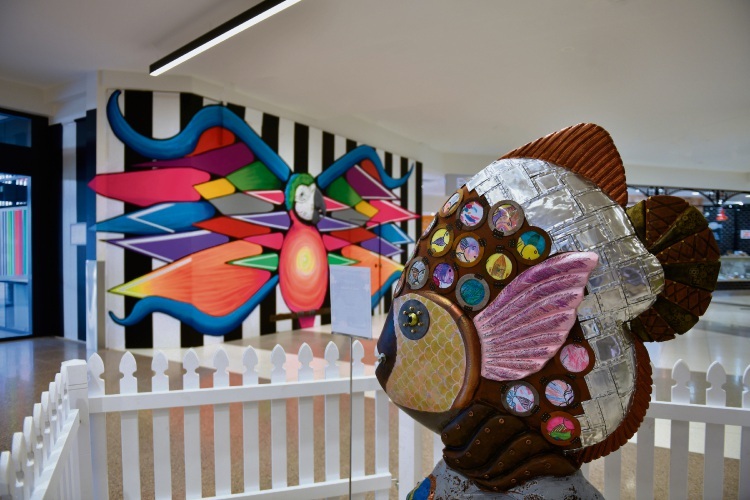 Four sculptures have been created by local schools Secret Harbour, Comet Bay, Singleton and Lakelands. The sculptures will be on display until Sunday, May 5, and customers are invited to vote for their favourite with the chance to win $50 daily. The sculpture with the most votes will win $2000 for their school. Visit the Easter Craft zone opposite Jamaica Blue from Friday, April 13, to Sunday, April 21, where children can decorate their own porcelain egg cup to take home with a chocolate egg to fill it. The Easter Bunny will be hopping about the centre on Saturday, April 20, and Sunday, April 21, handing out a delicious chocolate treat. Shoppers are invited to download the Wilma’s Wonderland app until Monday, April 29, to play interactive, augmented reality Egg Hunt and Egg Toss games while exploring the centre, to win daily prizes. Children can enjoy a meet and greet with Aussie classic and family favourite Blinky Bill and hear tales of his adventures. Meet Blinky Bill opposite Jamaica Blue from Monday, April 22, to Saturday, April 27, from 11am to 2pm. 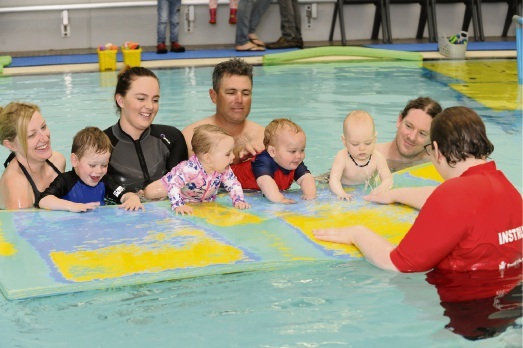 Enrolments are open for Kwinana Swim School April school holiday lessons. This six-day program, running from Monday, April 15, to Thursday, April 18 and on Tuesday, April 23, and Wednesday, April 24, features an intensive format great for building and reinforcing new skills and techniques. Classes are available for Turtles to Level 10 plus, with the cost $83.40 and take off 30 per cent if you enrol before Sunday, April 14. For children aged 5 to 12 years, the fun Vacation Care program provides a range of diverse and child-focused activities in a safe and caring environment. Join exciting excursions to Murdoch Pines Golf Club and XLR8 Fitness, plus an interactive circus workshop. Enrolments are now open, cost is $67.30 per day. To book your spot, call Kwinana Requatic on 9236 4700 or visit recquatic.com.au. 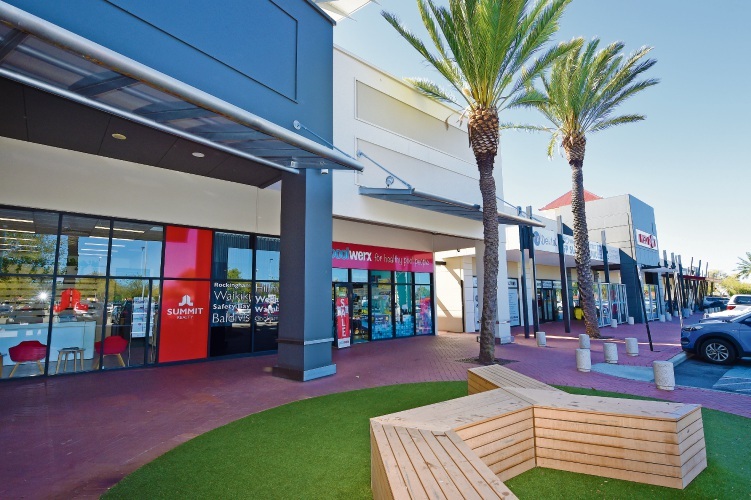 Visit the corner of Robbos Way and Skerne Street, Kwinana. Join Waikiki Village Shopping Centre for a range of free activities throughout the school holidays from Monday, April 15 to Friday, April 26. Week one is an Easter celebration with Easter egg painting on Monday, face painting on Tuesday, Easter bunny plaster mould painting on Wednesday and Easter Hunt bag decorating on Thursday. The Easter Bunny will be visiting the centre on Thursday, April 18 from 4pm to 7pm and Saturday, April 20 from 11am to 2pm. The theme for week two is Mad Science, with Weird and Wacky face painting on Tuesday, Bath Bomb Creations on Wednesday and The Science of Slime on Friday. Visit the corner of Read Street and Gnangara Drive, Waikiki. 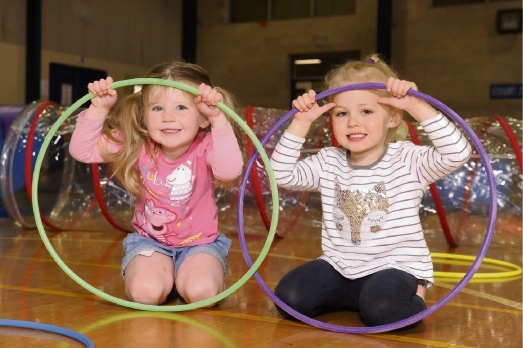 There is a range of events and activities running at City of Kwinana centres and libraries throughout the school holidays. Celebrate Easter at William Bertram Community Centre on Thursday, April 18 from 3pm to 4.30pm, with an Easter egg hunt, hot cross buns and craft activities. At John Wellard Community Centre, test and design your own glider with Taking Flight with Pania, on Tuesday, April 16 from 10.30am to 12.30pm. Parent participation is required. Dress up in your adventure costumes for Adventure Planet movie day on Tuesday, April 23 from noon to 1.30pm. Kwinana Public Library is getting musical these holidays with Plastic Drumtastic Workshop on Tuesday, April 16 from 10.30am to 11.30am, Kaboom Percussion Workshop on Thursday, April 18 from 11am to noon and Make Your Own Shaker on Friday, April 26 from 10.30am to 11.30am plus the Mechanical Musical Machine will be at the library from Monday, April 15 to Friday, April 26 where you can move the pegs to compose your own tune. Zone Youth Space offers events for ages 12 to 18 starting today from 7pm to 10.30pm with Club ReZonate. Celebrate the end of term with this under 18s dance club with a range of drinks available, activities and of course some great music. Challenge your friends at Nerf Gun Wars on Monday, April 15, Treat Yo’ Self with a pampering session on Thursday, April 18 from 1pm to 4pm, Race Round Kwinana in teams completing tasks on Wednesday, April 24 from noon to 5pm, and enjoy watching the new How to Train Your Dragon on a projector complete with popcorn on Friday, April 26 from 7pm to 9pm. The epic playground at Playground Fun and Wellness features tunnels, slides, platforms and games offering endless fun for children. Parents can join in too. Enjoy a range of tasty snacks and healthy meals from the cafe’s new autumn menu with plenty of options for those with allergies and dietary restrictions. Entry for 1 to 4 years is $8, 5 to 12 years $12, and babies under 12 months and adults are free. Visit 5 Mackinnon Street, Rockingham or http://www.the-playground.com.au.